Time to clean the ice and clear the way to victory with our 73-piece buildable Zamboni ice resurfacing machine! 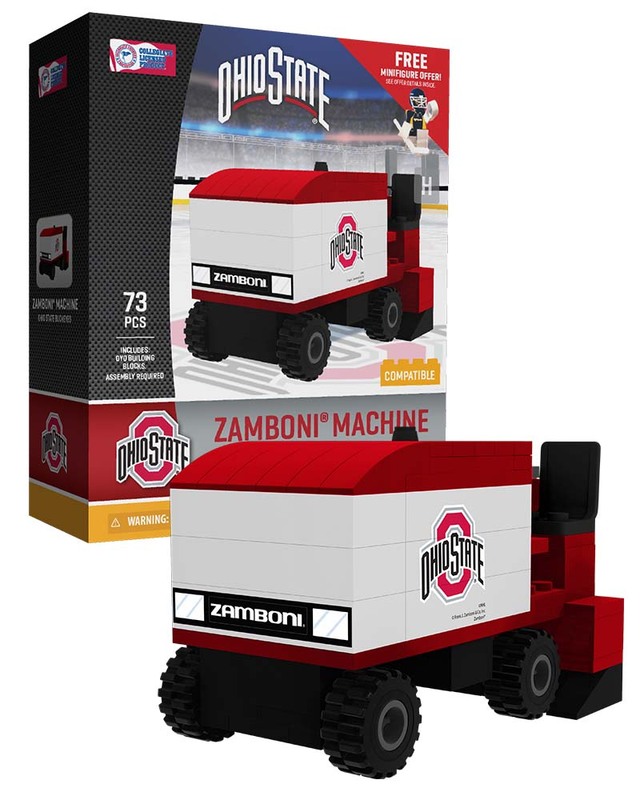 Rotating, durable rubber wheels provide a smooth ride across the rink. The perfect gift for the biggest (and littlest!) sports fan in your life. 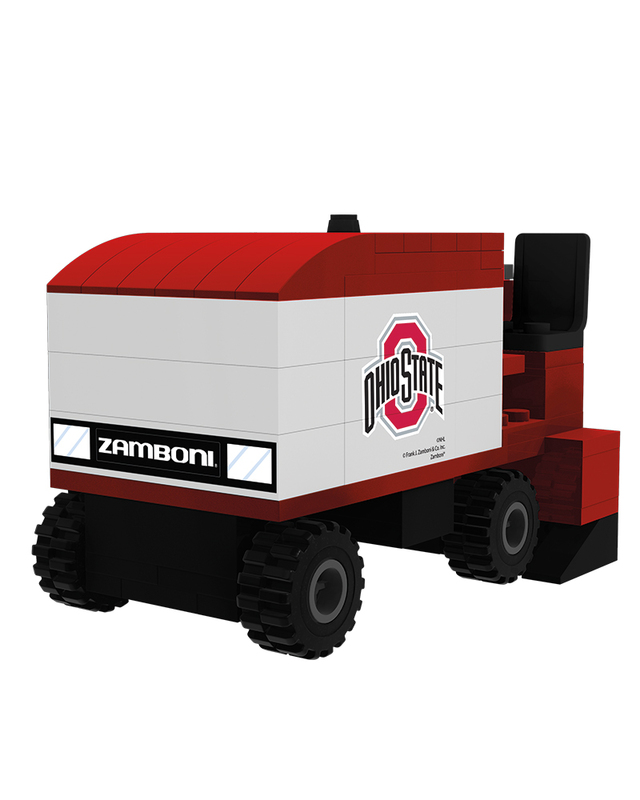 Your Zamboni ice resurfacing machine has rotating, durable rubber tires. Steering wheel and front seat allow for any of your minifigures to drive onto the ice. Customized with the colors and logo of your favorite College team! Includes a redemption offer for a FREE minifigure. Easy instructions to follow! Quality product! Looks awesome!